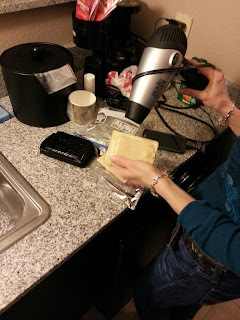 That's Gloria--at 4:50 a.m.--heating up a Pop-Tart with a blow dryer. Another 6 a.m. game, no toaster in the room, and it was for Eli's breakfast. And surprisingly, it worked pretty well. Next trip, we'll be steaming tortillas in the bathroom while we shower. 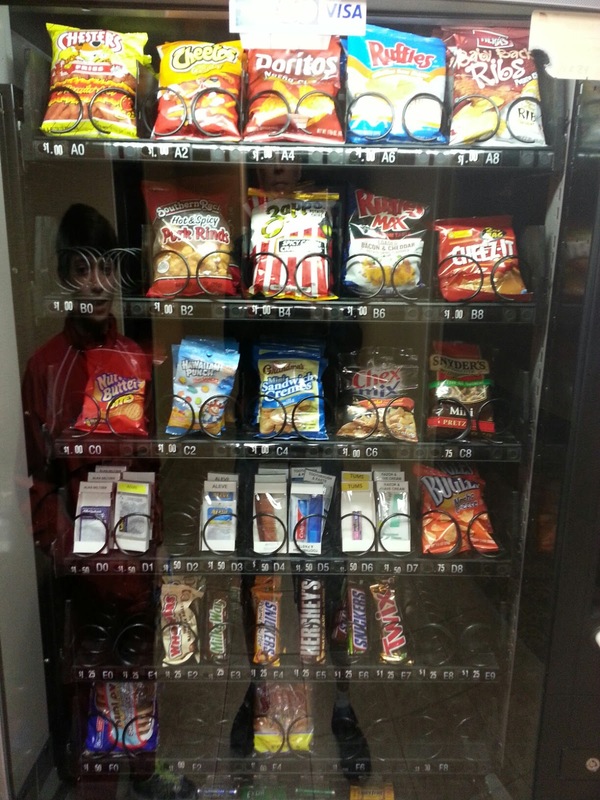 I don't even understand the vending machines Louisiana--pork rinds (hot and spicy), "Cajun Crawfish" flavored potato chips, and "Baby back rib" flavored potato chips as well (actually, I almost tried those). Oh, and nacho cheese flavored Bugles, which are the single unhealthiest snack on earth (about 75% of the fat is saturated fat, which I didn't even think was possible for a chip). They also had Tums in the medicine row, which sounds like a very good idea. There was this incredibly strange mix of people staying at our (seen better days) hotel, since we're apparently in the three-month window for non-stop Mardi Gras partying, and there was a huge party downstairs. So half the people in the hotel were staying up until 4:30 a.m., and the other half (hockey people) were getting up at 4:30 a.m.